A half day oneclick workshop with members of the IT competence network kiwiko was a complete success. Presentations and a subsequent live demonstration by the oneclick board members Dominik Birgelen, Mathias Meinke and Florian Bodner inspired the representatives of twelve systems integrators. Since then, the first kiwiko members have been working on a proof of concept, while customer meetings have also been organized. “Our partners can well imagine working together with oneclick“, this is how kiwiko board member Matthias Jablonski summarises the result of the group’s feedback. “We are delighted that we could excite the kiwiko partners with our solutions“, says oneclick CEO Dominik Birgelen. Not only the platform itself but also the business and sales model of the oneclick solution were being sharply looked at by the audience. 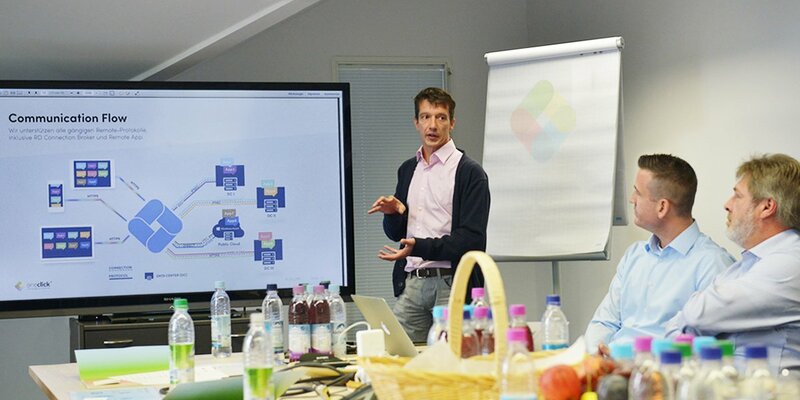 The sales and marketing presentation was delivered by Dominik Birgelen, while Mathias Meinke focused on the technical aspects. Marcel Sternkopf, the managing director of systems integrator SecureHead and one of oneclick’s initial partners, provided practical implementation examples. There is a lot of channel interest in the web-based application delivery and streaming platform. Not least, because oneclick and its solution support the transition from a traditional systems integrator to becoming a managed service provider. Therefore, the demand for such an event amongst the kiwiko partners was significantly demonstrated by their participation. Senior representatives of twelve solution partners, managing directors, owners and sales directors travelled to the workshop to the Munich based workshop from all over Germany. The event was hosted by Jürgen Wiederroth, managing director Germany at Crayon, the Unterhaching based software specialist and kiwiko member. Dominik Birgelen and Matthias Meinke chose a bus as an image to demonstrate the functionality of the oneclick platform: The bus collects applications from each location, while the bus driver takes over security control. Then the bus delivers the applications at the respective place of work to the end customer. Essential discussion topics were security of the platform, the licence models for partners as well as oneclick’s indirect sales model. Additionally, discussions around technical tasks such as administration or printing in the network and the customer daily operational management thereof were also had. In a closing discussion, all members present summarised the potential that oneclick can offer for their respective businesses. The oneclick team was delighted with the overall positive feedback. Following the successful start, the first concrete activities are already being realised. Some kiwiko members are currently working on a proof of concept. First joint customer meetings have also been agreed.  “oneclick responds quickly and flexibly to our enquiries. This is how cooperation with a vendor should work,“ adds Jens Elsdörfer, who as head of service & support at kiwiko member ProLan Computer is responsible for testing the oneclick platform in-depth. “We are delighted that we can move so quickly to the implementation stage and that we have such a smooth cooperation“, explain both Matthias Jablonski and Dominik Birgelen.